In 3-quart saucepan, heat brown sugar and orange juice to boiling over medium heat, stirring frequently. Boil 5 minutes, stirring occasionally. Stir in cranberries. Heat to boiling. Boil 5 to 8 minutes, stirring frequently, until cranberries pop and mixture is thickened. Stir in orange peel. Meanwhile, in medium skillet, heat oil over medium heat until hot. Cook and stir garlic in oil 1 to 2 minutes or until garlic is soft. Stir in chile and sauce; stir mixture into cranberry mixture. Cover and refrigerate about 3 hours or until chilled before serving. 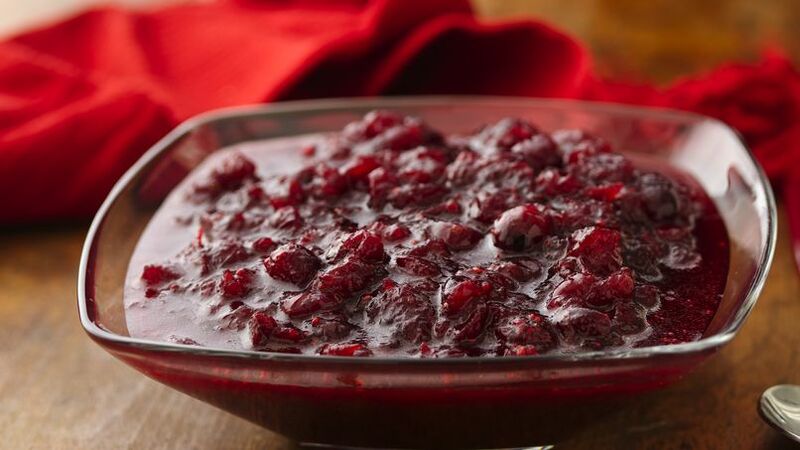 Brown sugar, chipotle chile and orange juice balance the tartness of cranberry sauce – perfect homemade condiment.